Yr Eifl, 'The Rivals' in English, rises sharply from the north coast of the Lleyn Peninsula. Carnedd Dafydd is a mountain peak in the Carneddau range in Snowdonia; at 3,425 ft/1,044 m, it is the third highest peak in Wales. 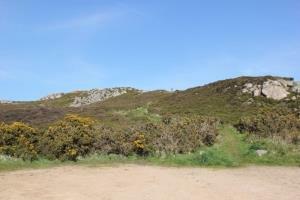 Bwrdd Arthur (Arthur's Table in English), also known as Din Sylwy, is flat topped limestone hill on the island of Anglesey. 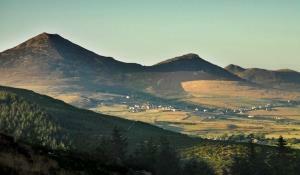 At 3156ft, Yr Elen is the ninth highest mountain in Snowdonia. 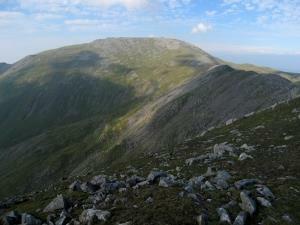 It lies on a short ridge running west-northwest off the main north-east to south-west ridge of the Carneddau. 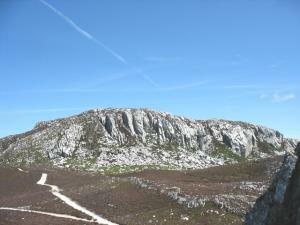 Holyhead Mountain (Mynydd Twr in Welsh: from (pen)twr, meaning "stack") is the highest point on Holy Island at 722 ft and the highest in the county of Anglesey. 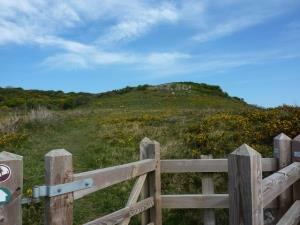 Mynydd Bodafon (Bodafon Mountain) is the highest point (584 ft/187 m) on the main island of Anglesey. Its summit is also known as Yr Arwydd ("the signal"). The Great Orme is a prominent limestone headland 679 ft high to the west of Llandudno and can be accessed by both a tramway and a cable car. 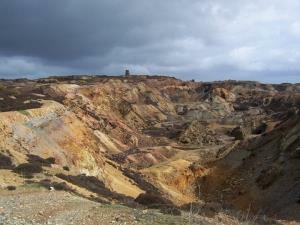 Parys Mountain/Mynydd Parys is located south of the town of Amlwch in north-east Anglesey. 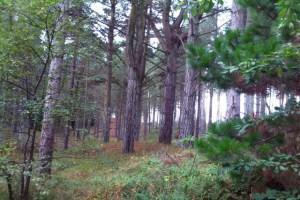 It was the site of a large copper mine that was extensively exploited in the late 18th century. The Little Orme is 463 ft in height. 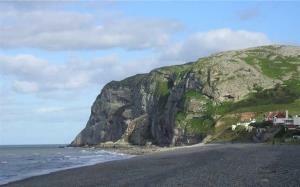 It is one of two headlands that are situated at either end of Llandudno Bay. 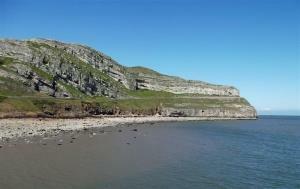 The Little Orme is to the east and the other larger headland, the Great Orme, is to the west. Foel-fras is a mountain in the Carneddau range, about 8 miles east of Bethesda. 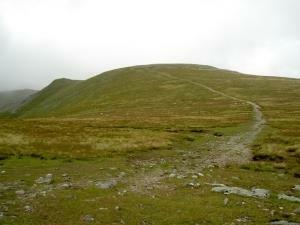 With a height rising to 3091 ft (942 m) it is officially the eleventh highest peak in Wales. 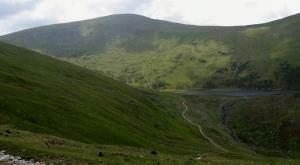 Carnedd Llewelyn (3491 ft/1,064 m) is a mountain massif south-east of Bethesda in the Carneddau range in Snowdonia. 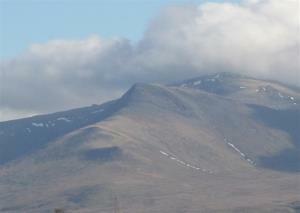 It is the highest point of the Carneddau and the second highest peak by relative height in Wales. 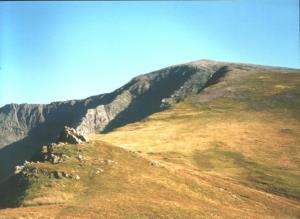 Foel Grach is the eighth highest summit in Snowdonia and Wales at 3202ft, and is therefore included in the Welsh 3000s.